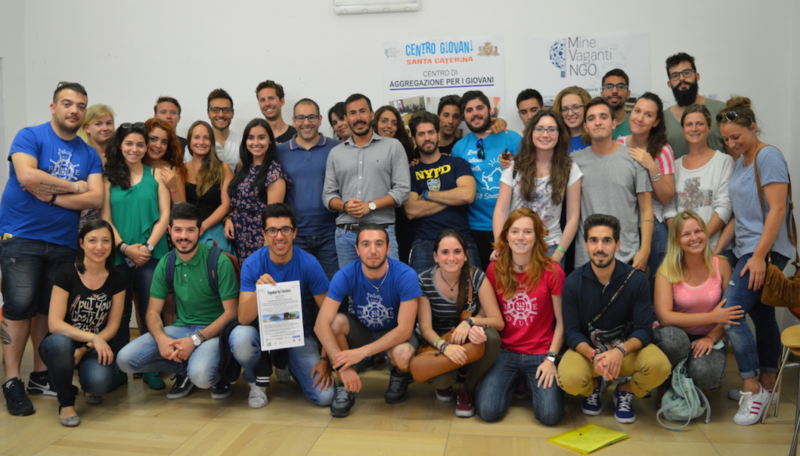 Mine Vaganti NGO coordinates from April 2016 a Capacity Building in the frame of Youth. 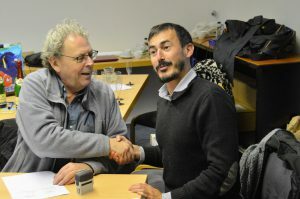 The Executive Agency in Bruxelles (EACEA) granted our project “Inclusion Through Sport” (ITS), which will include 12 partners from 4 continents: Italy (Mine Vaganti NGO), Romania (Surf the Earth Project-Step), Bulgaria (Sporten Klub Chempiyns Faktori), Kenya (DAAC International), Senegal (GNO FAR), Cameroon (Global Compassion), Philippines (Palawan State University), Hong Kong-China (The Gymnastics Association of Hong Kong,), India (Baba Bhagwan Dass Educational Society), Guatemala (Techo – Guatemala), Peru (Brigada de Voluntarios Bolivarianos del Peru) and Argentina (Circulo Raices Sardas). 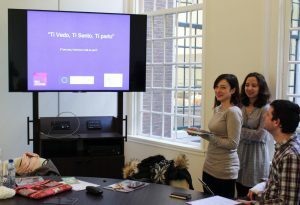 ITS had activities in Senegal, Kenya, Peru, Argentina and Italy: TC, Seminars and Job Shadowings. A wonderful results for our team of European Project Managers who worked on the idea since almost 2 years. 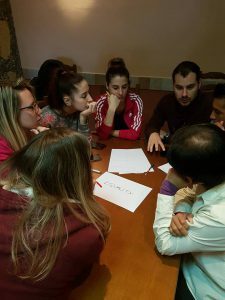 Moreover, the project intends to foster Sport as a tool of inclusion, to solve interpersonal conflicts among youngsters, to promote tolerance and to assist young people to understand issues of diversity via non formal education. The ITS intellectual outputs are a Format TC, a Toolkit of ITS Best Practices and the ITS Website. 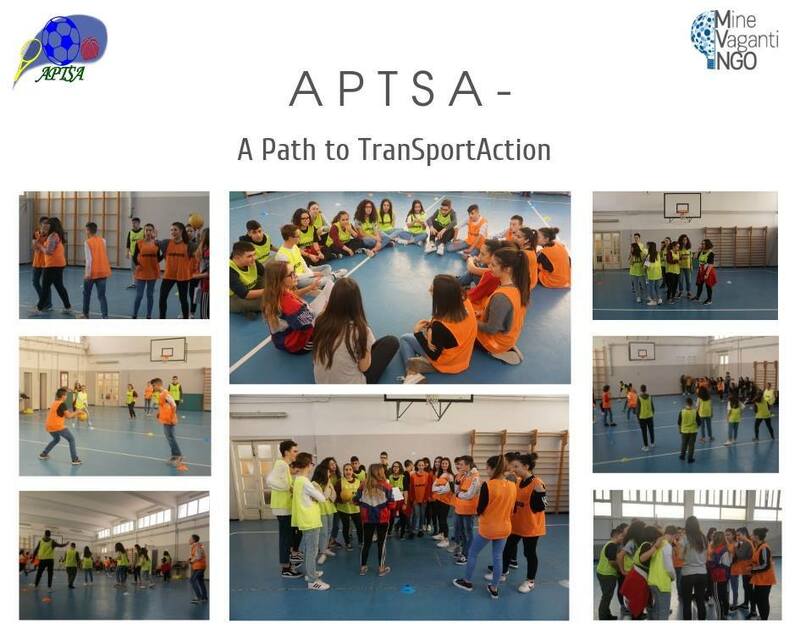 MVNGO is a partner organization in the Erasmus Plus Capacity Building Youth project “A Path to TranSportAction” (APTSA), coordinated by the Croatian organization “Rijeka Sport’s Association”, The project involves a total of 5 organizations from Europe (Croatia, Italy, Bulgaria) and Latin America (Brazil and Peru), whose main aim is to enhance the capacity of youth organizations and stakeholders in all partner countries and beyond to use Sport in combination with high-end Non Formal Education methodologies for fostering a gender-inclusive approach to Sport practices, contrasting sexism and gender stereotypes and promoting equality and mutual respect among genders in disadvantaged rural areas in Europe and in Latin America. Low female participation in Sport is an important component of gender-based disadvantage. General prejudice considering Sport as an almost exclusive field of male engagement, coupled by machist self-representations which permeate most Sport sub-culture, is at the same time a telling effect and self-perpetuatinÕg mechanism of gender discrimination. 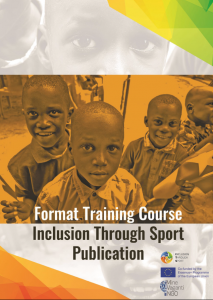 Sport is a powerful educational vehicle for disadvantaged targets to acquire crucial soft skills, transversal skills and positive attitudes of self-confidence and active participation, key components of any grassroots process of empowerment. Through its inner dynamics of peer-interaction and fair competition among people with diverse backgrounds, Sport provides also an invaluable experiential path to promote mutual respect and deconstruct prejudices. 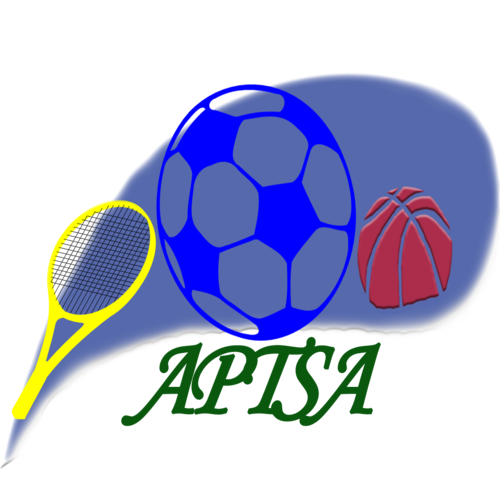 – A Format TC providing youth operators with knowledge, skills and NFE tools to involve local youth targets (males and females) in educational activities based on Sport and NFE to convey awareness and competences fostering female participation in Sport, rejection of gender stereotypes and respect of gender differences and sensibilities. 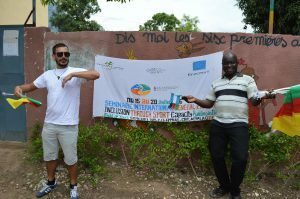 – A Youth Exchange testing the methodologies employed in project TC with a representation of final youth targets from each partner country. 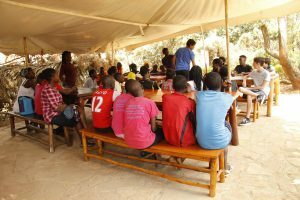 – A Local Activities Phase in all partner counties involving local youngsters from disadvantaged rural areas (30 males and 30 females) per each partner country. – A Web Platform storing the materials produced in the project as e-learning modules. Activity Day with the youngsters and the local female football team FC Sassari Torres Femminile! 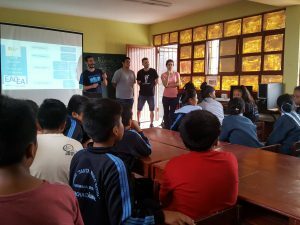 Non-Formal Education Workshop in the school! 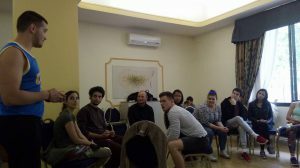 MVNGO was a partner organization in the Erasmus Plus Capacity Building Youth project “Art for Social Change” coordinated by the Bulgarian organization Open Space, with the participation of 3 partner organizations: Soul-Xpressions (Uganda), Chamwino Arts Center (Tanzania) e Mine Vaganti NGO (Italy). 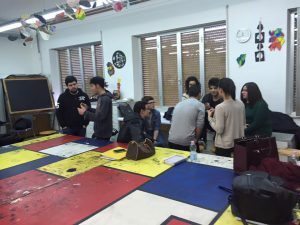 Aim of the project is to assist organizations in Europe and Africa in developing their capacity to work with young people in solving the wide range of problems they encounter in their lives. 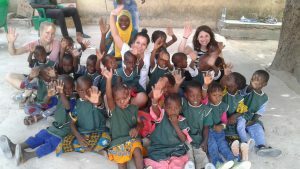 The first edition of the project was from 2014 to 2016, where activities were carried out in Bulgaria and Tanzania. 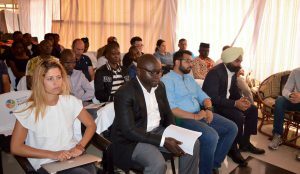 The second edition of the project takes place between 2017 to 2018, with events in Tanzania, Bulgaria, Italy and Kampala (Uganda). 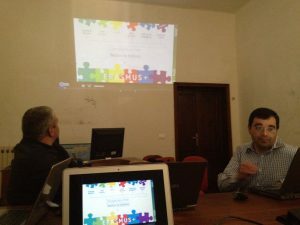 – Promotion of a web-based system for sharing information and educational resources which can be used by the partners in the project and other stakeholders. Attracted and trained, youth leaders will expand the influence of organizations and succeed in generating change, in helping young people more adequately in the wide range of problems they encounter in their lives. The project engages young people growing up in poverty and serious risk of leaving school early. 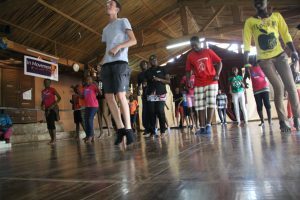 Stimulating the development of their imagination, creativity, inner strength and self-confidence, we show how disadvantaged young people can get out of poverty, become active participants in society and lead happy, healthy and productive lives. 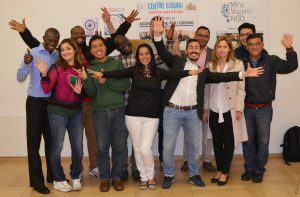 The project has a positive effect on social development and entrepreneurship in deprived areas in Europe and Africa, and among groups suffering from scarce access to resources and information, and seeks to provide them with smart, sustainable and inclusive growth to develop the competencies of young people and new skills to fight poverty and cultural isolation. The EU Youth Strategy seeks to encourage young people to participate in democratic processes and in society. The methods include to develop mechanisms for engaging in dialogue with young people and facilitating their participation in the shaping of national policies and supporting ways of ‘learning to participate’ from an early age. ‘Learning to participate’ includes skills, such as digital literacy, entrepreneurship, project planning and management, social awareness and interaction, allowing young learners to increase their employability. 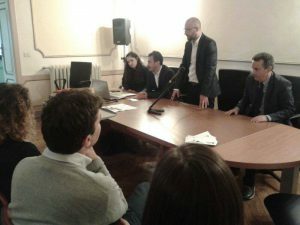 The proposed project will therefore address the aims of the Paris ‘declaration on promoting citizenship and the common values of freedom, tolerance and non-discrimination through education of 2015, in which the European education minister announced to support political education in order to fight radicalization. 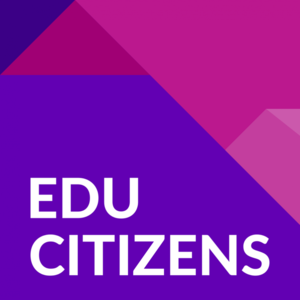 Identifying smart practices in training participation and citizenship will help to achieve social, democratic and intercultural skills for learners but as well facilitators. It will increase critical thinking and foster media competences. 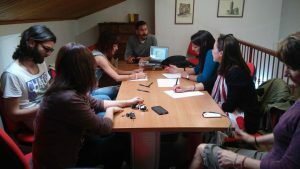 All over Europe, citizen participation is often hindered by a lack of information, communication and cooperation between affected stakeholders as well as limited access to knowledge of the options available for voicing local interests. 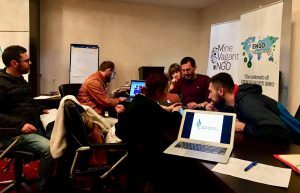 Citizens and stakeholders therefore require an overview of existing training tools and methods that can help overcome those barriers to participation. However, in the past years a waste number of tools and methods had been developed in the different educational sectors and national systems. We believe that instead of reinventing methods, it will be more productive to evaluate existing tools in all sectors, identify good practices, collect and review them and share them in a specific format. 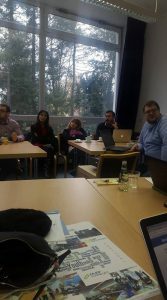 Therefore the project consortium consists out of partner from different education sectors, covering the geographic scope of all of Europe. 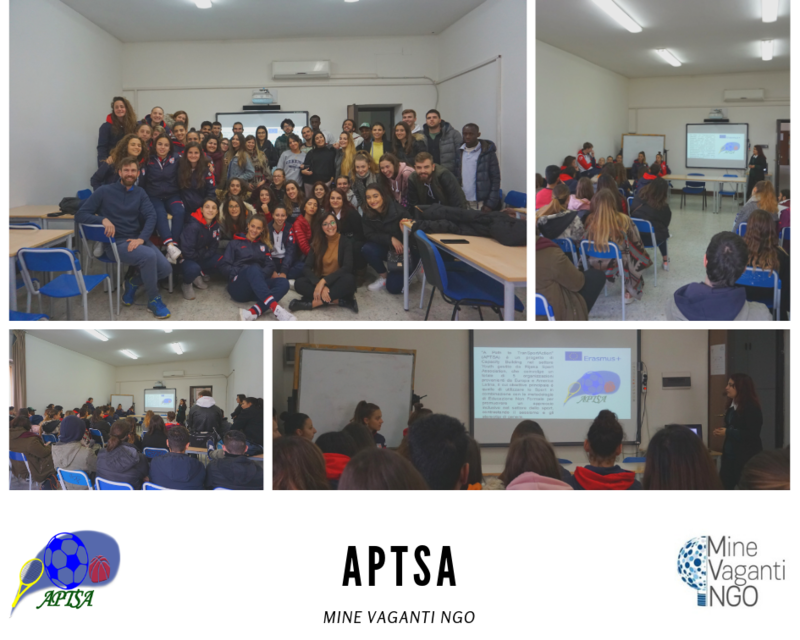 The project coordinator is Comparative Research Network e.V.And the partners of the Project are Suomen ympäristöopisto SYKLI oy (Finland), Federação das Associações Juvenis do Distrito do Porto (Portugal), Mine Vaganti NGO (Italy), Yildirim Beyazit Universitesi (Turkey), Stowarzyszenie Pastwisko.org (Poland), European Geography Association for Students & Young Geographers (Netherlands). This capacity building on teachers and trainers will further have an impact on all learners, improving their personal skills and in this way increasing their employability. 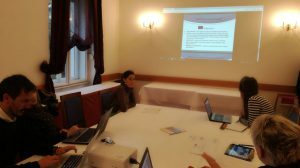 Earlier projects by the different partners on good practices proofed that a Trans-national analysis produce results which are highly relevant and transferable, complementary and the fast applicable in other countries. For this reason plus the fact that we are seeking European answers for participation, the project has to be Trans-national. 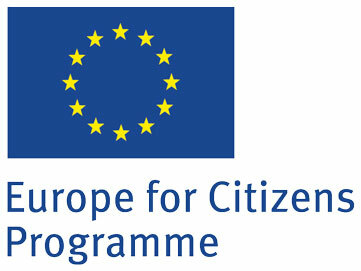 The project seeks to create an evaluation grid for identifying best practice in citizenship building and collect those practices in a method handbook. This handbook can be understood as a tool-box for trainers, teachers and other facilitators in order to create innovative and tested instructions all over Europe and across all educational sectors. 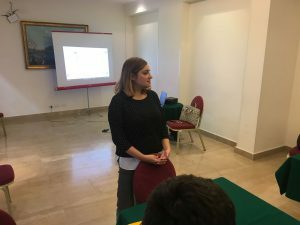 The project will run for two years and will consists out of a number of multinational meetings (each partner will organize one) where good practice methods are presented and discussed. The grid and the method handbook will be open access and should be used by institutions from all education sectors in formal and non-formal learning. 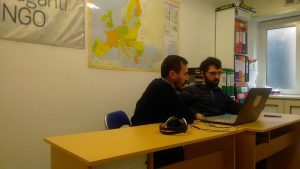 The project can be understood as a pre-assessment of the needs to create and test European curricula in citizenship building. The project target directly trainer and teacher in all educational sectors. Through sharing good practices of participation and citizenship we seek impact on all administrative, organisational and educative levels. 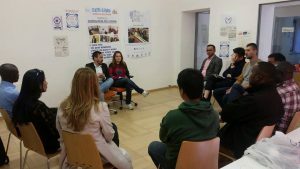 We expect the participants of the project to extend their knowledge on training participation and citizenship and how this is done in Europe. 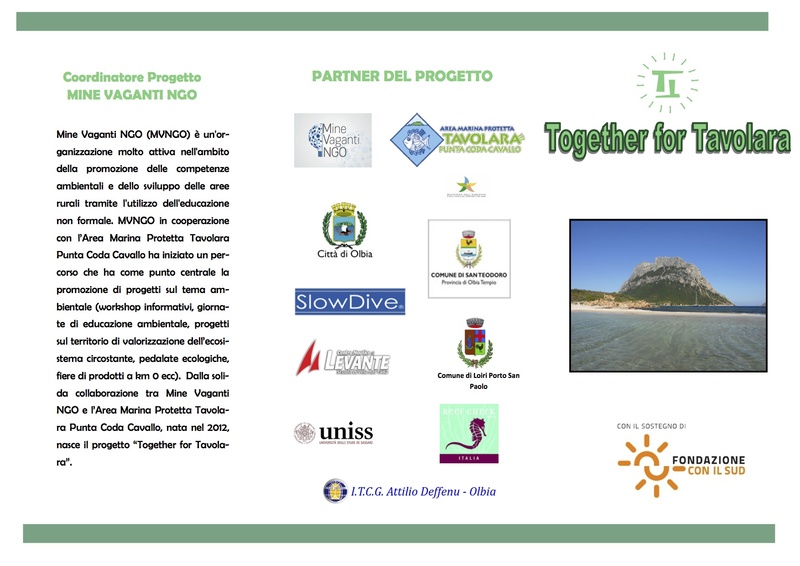 Mine Vaganti NGO woked in cooperation with the prestigious Fondazione Con il Sud. 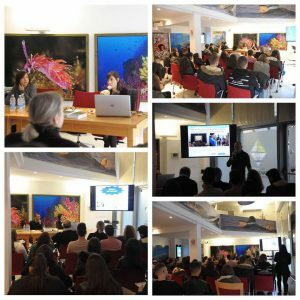 For the deadline of May 2015, Mine Vaganti NGO designed in collaboration with the Marine Protected Area of Tavolara a project that aims to raise awareness to environmental protection. 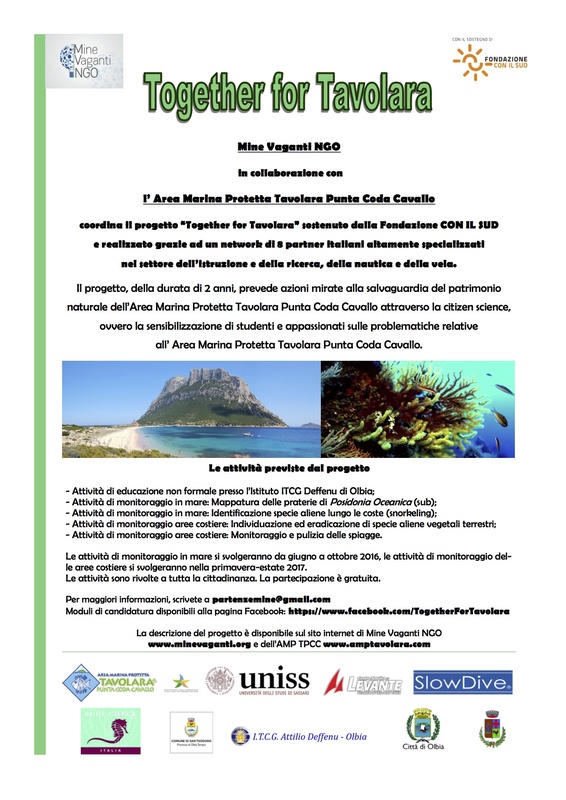 10 qualified partners were involved in the Consortium: Area Marina Protetta Tavolara Punta Coda Cavallo; Associazione Slow Dive; Centro Nautico Levante; Reef Check; ITCG Attilio Deffenu di Olbia; Be The Change; Università degli Studi di Sassari; Comune di Olbia; Comune di Loiri – Porto San Paolo and Comune di San Teodoro. 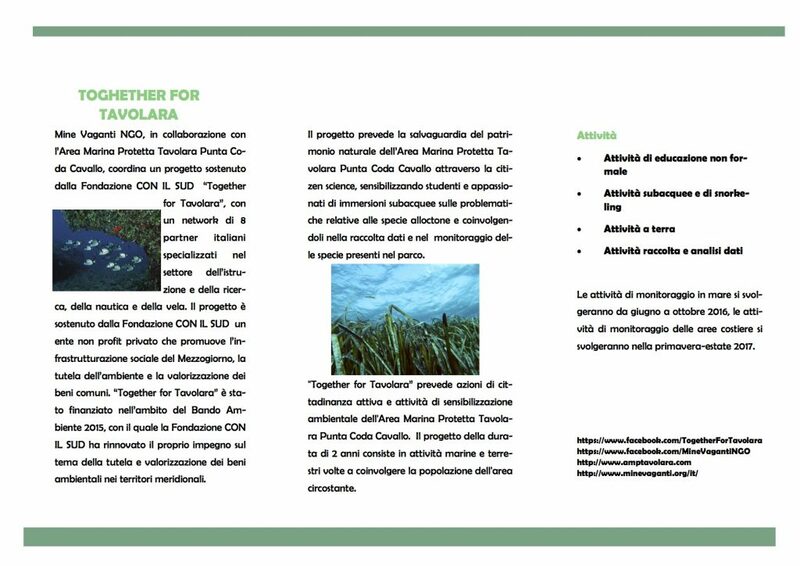 “Together for Tavolara” included actions of active citizenship and environmental awareness-raising activities about the Protected Maritime Area of Tavolara. The project lasted two years consists of marine and land activities to involve the population of the surrounding area. 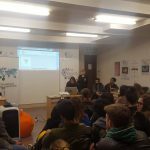 The architrave of the project is represented by the concept of “Citizen Science”, which the Oxford Dictionary defines as “The collection and analysis of data by an audience, which takes part in a project in collaboration with professional scientists. 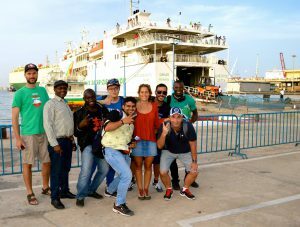 The lines of action were 4: non-formal education, diving, sailing and data collection and analysis. 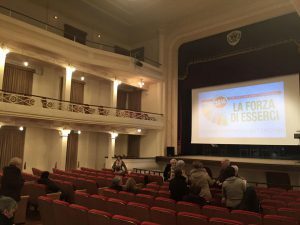 “You Parkour!” was a Youth Exchange implemented in Sassari between April 20-27 2018. 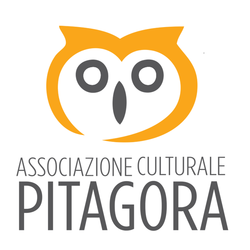 The project was applied by Associazione Paritaria Pitagora (ACP), with the support of MVNGO in project design and implementation. 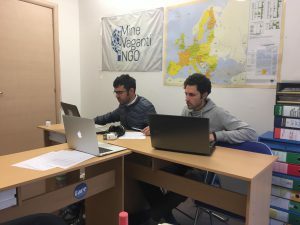 MVNGO and ACP have developed a long-standing cooperation, under whose frame MVNGO supports the Association in the development and implementation of its project proposals in the field of Erasmus Plus KA1 mobility. 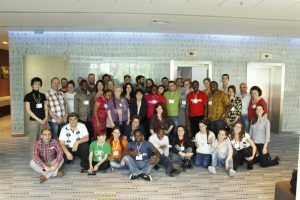 The Youth Exchange involved 44 Young people potential Youth leaders aged 14-20 from the partner countries, Sweden and Italy. 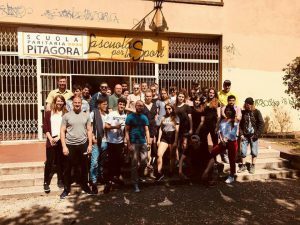 The aim of the project was to foster creative and innovative methodologies of non formal education between Sweden and Italy based on the combination between Hip Hop and Parkour as forms of artistic expression (Street Arts). 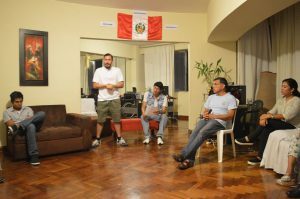 Parkou and Hip Hop were foreseen in light of their being perfect communicational vehicles to reach out to nowadays’ Young people empowering them to bring about social change at the community level. To raise knowledge on urban social issues and revitalize decadent spaces of city centers by stimulating active Youth participation. To explore new creative tools of NFE education enabling youngsters to become future Youth leaders of Tomorrow, solving the challenges of their communities. 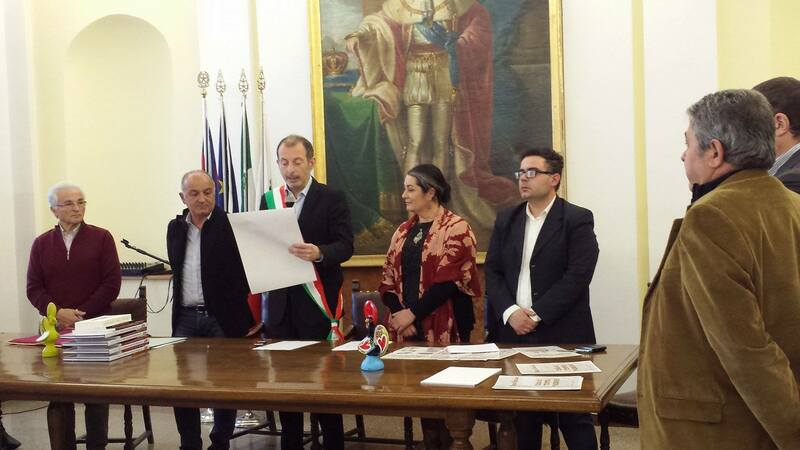 To promote intercultural dialogue and mutual Exchange between Italy and Sweden. To promote healthy lifestyles by means of alternative instruments as parkour. 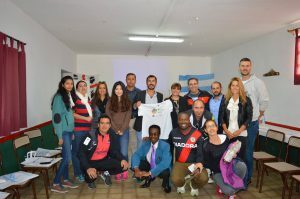 The main aim of this training course, which took place in Sassari (Sardinia), between 1 and 5 April 2014, was to teach 5 adult learners how to use sport as an educational tool for inclusion using the non formal education method. 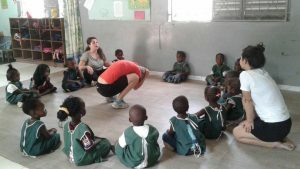 Actually, the TC was aimed to demonstrate how to create games using sport therapy according to the necessities of people with special needs developing concrete activities for including them into the community. Those games are called “adaptive games” because they are adaptable according to the ability of participants: everyone will be in the same level and feeling actively involved in the game. Participants analyzed the aggregative power of sport, using it as a tool for fighting against discrimination. 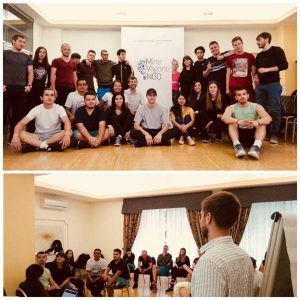 – To create an international network of professionals, volunteers, associations aimed to disseminate successful good practices at international level and gathering new ideas from each other in order to amplify the multiplier.